The term Jeet Kune Do was coined and put into use in 1967 by Bruce Lee in an attempt to put a name to his martial expression. Lee wrestled with putting a name to his art as he constantly veered away from any type of crystallization (and thereby limitation) of its essence, however, the simple need to refer to it in some concrete way won out and Jeet Kune Do was born. The idea of intercepting is key to JKD, whether it be the interception of your opponent’s technique or his intent. The basic guiding principles are: Simplicity, Directness and Freedom (the form of no form). The techniques and philosophies of JKD can be applied to real combat as well as challenging life situations. Jeet Kune Do consists of physical techniques and applied philosophies and requires the individual to train him or herself to their most cultivated state of being-ness so that when faced with a combat situation or a challenging personal situation, the tools needed are available in the moment and can be executed without thought. Jeet Kune Do celebrates the cultivation and honest self expression of the individual over any organized style. Below is a list of resources, some free and some with a cost attached, relating to Jeet Kune Do. These materials are meant as a starting point and a guidepost for your personal liberation and Jeet Kune Do journey, so please do not treat them as a how-to guide. Jeet Kune Do is an ongoing personal evolution and cannot be captured in totality within a singular blog post or weekend “certification” seminar. The Bruce Lee Foundation doesn’t make, certify or typically recommend instructors. However we can, and would like to, offer this information as we feel it might be helpful to anyone seeking to find out more about JKD from the original source, Bruce Lee. 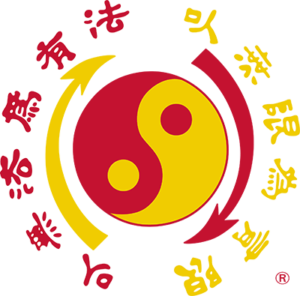 The final symbol that represents Jeet Kune Do and Bruce Lee’s approach to life is a full yin yang symbol surrounded by arrows. 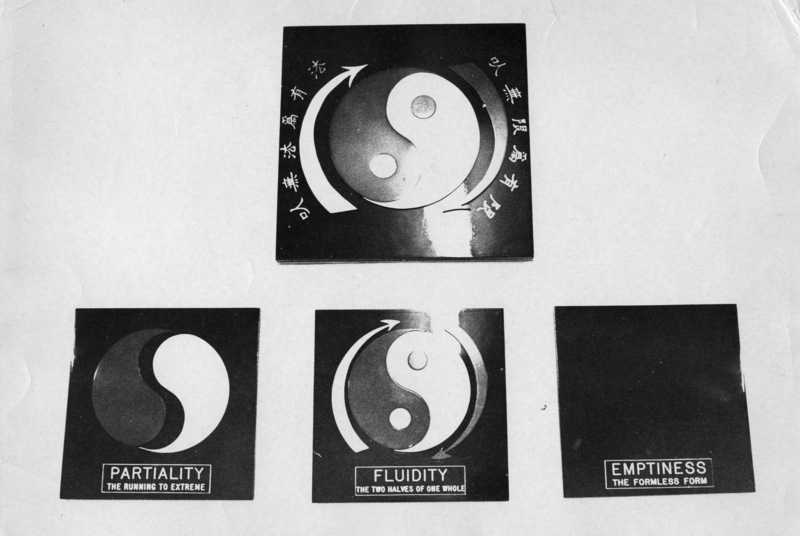 The arrows represent the constant interplay of the complements of yin and yang. Finally the Chinese phrase surrounding the symbol translates to: using no way as way; having no limitation as limitation. Explore Bruce Lee’s martial journey and evolution further in the online exhibit “Bruce Lee: Martial Action”, below.